Will Facebook’s New Features Help Marketers Increase Social Advertising Reach? Facebook’s new features will help performance marketers find their perfect match. Facebook has been busy rolling out new features for advertisers. After several iterations of AdWords-esque reporting tools (including a brief run with something actually called Quality Score), they have now announced their new Relevance Score. Just a few days later they announced Product Ads, a new feature that will allow businesses to showcase multiple products. While each of these features will help Facebook to increase clicks (and therefore, their bottom line), these are features that marketers can really take advantage of to improve campaign performance. Let’s take a look at both of them. Facebook’s Relevance Score will be based on both positive and negative feedback as ads are displayed. Reach your objectives with your ads (get likes, shares, clicks, etc) and your score goes up. People start asking to not see your ads, or are not interacting? You guessed it, your score goes down. Relevance is a metric that Facebook advertisers have always contended with, and this new change gives them the opportunity to actually see how well they’re doing. Advertisers will be able to test ad creative prior to launching full-blown campaigns, as well as use it to optimize campaigns that are already running. Facebook marketers have had different reporting functions over the years that have offered some measure of insight into how they might improve their ads. In 2009 Facebook displayed a Quality Score with rankings from 0-1,000 in an early iteration of their reporting dashboard. Since then there have been several different changes to the Facebook advertising interface, but nothing to really guide marketers towards a means of improving their ad performance. 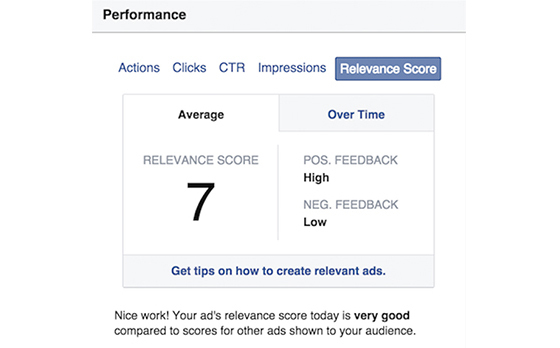 Relevance Score has been a hidden entity of Facebook ads for years, but marketers knew about it all along. It’s now much easier to quantify the problem and find solutions for ads that don’t work, and could impact your entire account performance. With the Relevance Score, you’ll start to get feedback once an ad has been served 500 times. By increasing your score, you’ll be able to actually reduce the cost of serving your ads, and you’ll get deeper insight into how well your ads are performing. Of course, relevance isn’t the only factor our ad delivery system considers. Bid matters too. You’re still competing against other bidders, and if you have a higher Relevance Score but they outbid you, chances are your ad will go to the back of the queue. Also keep in mind that the Relevance Score is not intended to be the main gauge of your success — it’s merely there to guide you in the right direction. There is no indication that lower scores will necessarily mean less successful campaigns, and that you should adjust your campaign due to a low Relevance Score. 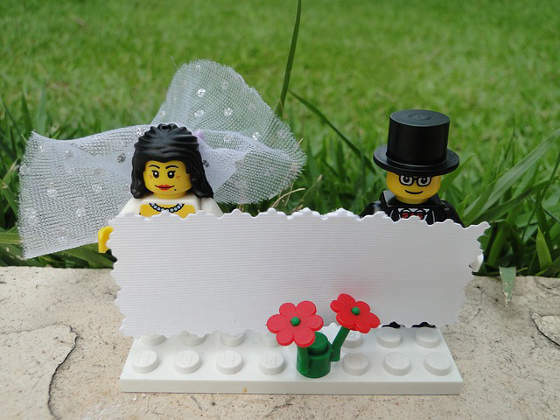 Remember that your ultimate goal is always a conversion. A higher Relevance Score may help you get there, but at the end of the day you want ads that increase your income more so than any related scoring system. Next up is Product Ads. You can now create one ad with multiple products, which will scroll across the ad, as in the image below. Regardless of how obnoxious it may seem to the average Facebook user, the new ads will allow businesses to display multiple products in one space, in a way that is likely to attract eyeballs to the ads. Each of the images will have its own URL, which will allow you to create a dedicated landing page for each of the products you’re advertising. The feature will also allow for retargeting of existing customers through Custom Audiences, extending your reach even further. It will be interesting to see who gets creative with this feature. There seems to be a real opportunity to do some fun storytelling with the images, as opposed to just showing all the shoes. Product ads are available right now in the Facebook API and those who access Facebook ads through the Power Editor will start to get access over the next few weeks. As each of these products are still just being rolled out, the impact the new features could have on performance media campaigns is still unknown. We’ll be talking to a few Facebook advertisers over the next month to get their take on whether or not they’re improving their bottom line with these tools. Once we’ve had a chance to really take a good, hard look at performance, we’ll share what we know with you, so be sure to watch for that. If you’re advertising on Facebook, are using these features, and would like to share your experience, please let us know by leaving a comment below!